Alright, as you may have been noticing, it has become a habit for me to publish new articles here every Monday if I have something new to publish. This time I've written an article about accommodations in Bali which is pretty popular subject amongst our students. Last times when I wrote about this subject in this blog I posted two videos that I've made with Farah and Chris who are probably the best real estate agents here in Bali. This time I've written an interview with them. There's a lot more article about living in Bali in that same article. 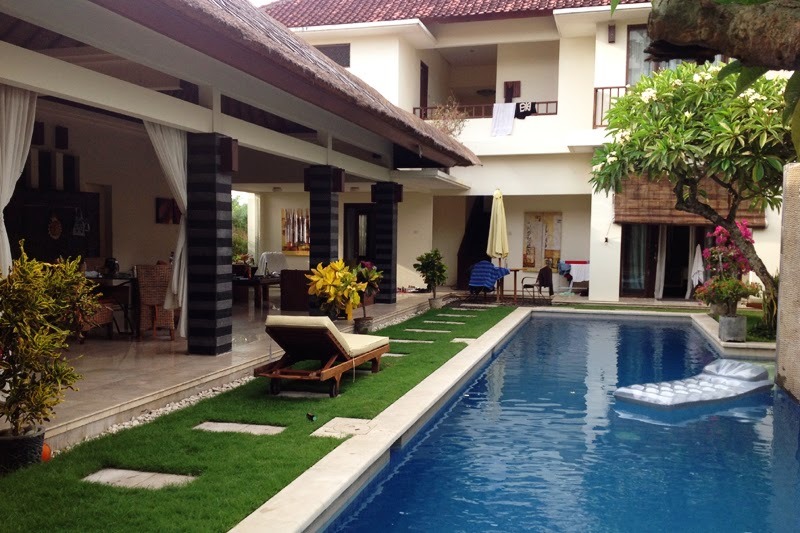 Below there's also a couple of pictures of our group's villa to give you some impression about the student accommodations in Bali. 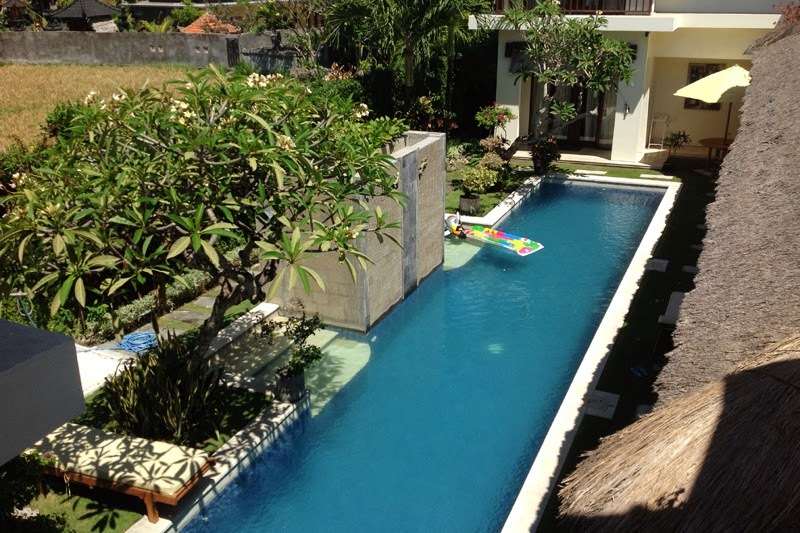 Most of the students like to look for the accommodation only after arriving here which is quite a wise decision because in Bali you should see the place before you've made any kind of official agreements about living there for the whole semester. Otherwise you may end up with an unpleasent surprise. On the other hand I really recommend you to at least contact Farah or Chris (or someone else) already before arriving here because then you have the best chance to get that kind of place you want to. I'm also sure that Chris and Farah will rent only that kind of villas that they're completely satisfied with and that's why some of our students nowadays rent a villa with their help already before coming here. So for conclusion I'd say that it's pretty much up to you what you want to do. At least you should find the right group with whom you try to find a villa because living alone here is pretty hard. Another important variable to think about when picking student accommodation in Sydney is area. You have to pick a spot that is near to the university and also offers a clean environment. Normally people just stress over the area and nature of the room along with the cost. However, they have a tendency to neglect to get some information about their landlord. You wouldn't have any desire to live in a room possessed by someone who might disturb you every single day and never give you a chance to live in peace. Thus, it is advised to take an informative and wise decision.